Make the Season Bright Contest: Still Time to Enter! Just in case you haven’t already heard, there’s a contest going on over at the 1912 Bungalow site. Prizes include an Otis light fixture from Schoolhouse Electric, and two Home Depot gift cards in the amounts of $75 and $50, respectively. 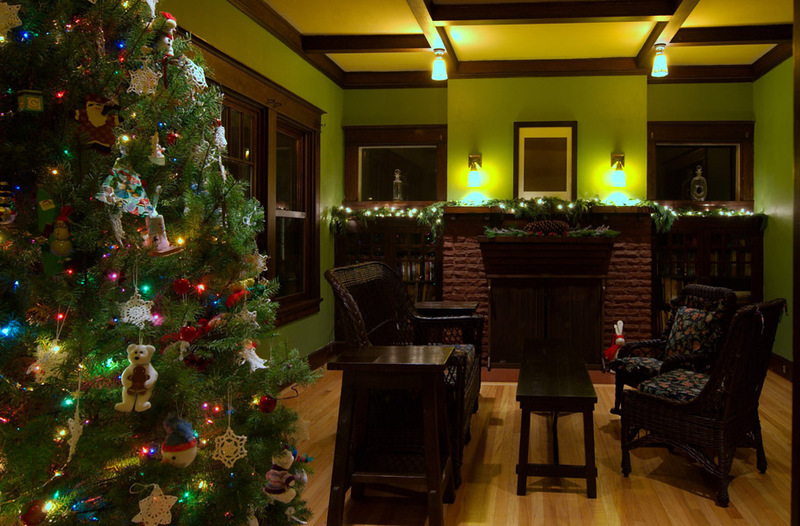 Just upload a photo of your home decorated for the holidays and vote. You can vote for your home, or for someone else’s home, but you can only vote once a day. Voting ends December 23. And if you don’t have a photo of your own home that you want to enter, you can always vote for us (posted under Bungalowgirl – Portland, Oregon). A new light fixture would definitely make our season bright! Happy holidays! Next Next post: Thanks for Making Our Season Bright!